Seventeen chefs are going whole hog cooking for Pig Mountain, a worth-the-trip upstate pork-and-more fest that you should hit this Saturday night. It might not be true that Gov. Cuomo will stop plans for fracking in New York State if he receives a million letters against the natural gas drilling technique, but the rumor is good news to folks like Doug Wood, who launched amillionfrackingletters.com back in September. 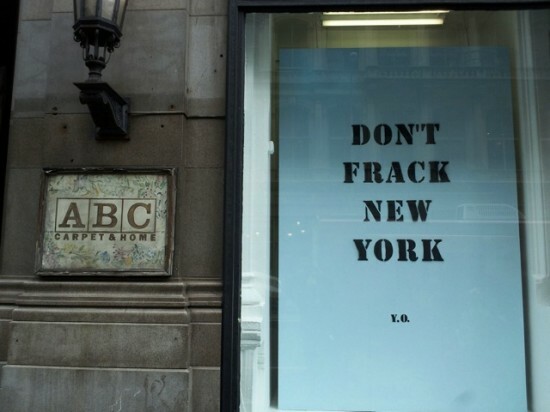 The site was set up to send hundreds of letters to Albany (and as many phone calls, with luck) urging the Governor to ban hydraulic fracturing, known as fracking. Wood runs the Port Washington, Long Island-based nonprofit Grassroots Environmental Education with his wife Patti, and fracking has long been one of their touchstone issues. He got the idea for the campaign from a random comment likely made in jest from a Cuomo staffer.